When do we use the future tense for graphs? If a line graph shows some data in future (e.g. till 2025), must we use future simple tense for the period of years 2015 - 2025? Yes, you should use the future simple tense for anything past the current year. Your tenses simply depend on what time frame the graph has. If it's all in the past it will all be past simple. If the first part is in the past but the next part is in the future then you would use past and future. This is basically what you need to follow i.e. adjust tenses according to time frame, though I've simplified this as you can with skill fit in some other tenses as well (see Joko's comments below). Change tenses whenever you can in Task 1! Not only are you allowed to change tenses when, as our host noted, the time described in the graphic allows for it, you should look for ways to do so. The grammar criterion is looking for a RANGE of grammar structures (meaning as many different kinds as you can fit.) used CORRECTLY, not just used. "The number for trend X started at a low of 5% in the year 2000. In 2010, it was much greater 15%. According to the graph, it will be at 20% in 2020 and will reach 25% in 2030." Changing the tense to fit the time. Two tenses used accurately: past simple and "will"
But if you really know your tenses and try to make this work, you can write the following using the same numbers. "The number for trend X started at a low of 5% in 2000. By 2010, it had become much greater at 15%. The graph predicts it is going to be at 20% in 2020 and will reach 25% in 2030." Five tenses, same data, mostly the same words. 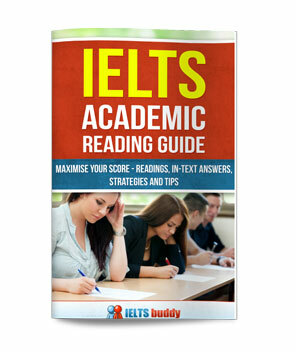 IELTS table that include past years and coming years. what tenses being used over time? Comments for past, present and future. You use the past simple for the past and the future for the future. It's a simple as that. 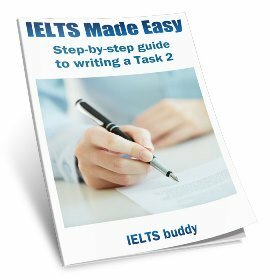 It should be very clear in an actual IELTS test. For instance they would likely have years such as: 2013, 2015, 2017, 2019, 2021. So clearly 2019 and on would be future tense. I don't think they would have something like "2017/18 and 2018/19" as it could be a bit unclear. Please help me about usage of past perfect continuous tense with the upward/downward trends. İs it ok to use it like below? 3) The total amount of bike usage had been decreasing between 1960 and 2000. I think you are over-complicating things. You need to use the past simple for completed actions in the past, which is clearly the case for (3). As for (1) and (2), it is possible you could use PRESENT perfect continuous, but only if you are referring to a point in the past up until the present. So for example if temperatures have been decreasing from 1995-2015 (this year). But this does not seem to make sense as you are talking about days of the week. I would really need to see the graphs you are referring to. 3) The total amount of bike usage decreased between 1960 and 2000. What tense Should I use in writing task 1? Because it was observed almost always past tenses have been used in the model answers. Yes you will find that it nearly always is in the past, so you will be using the past simple but you should always check the years carefully to make sure. For example, you sometimes get graphs that also include the past and future, in which it is not just the past simple. "In general, the employment opportunity has increased till 1970 and has dropped down afterwards." "The overall sale of the company has increased by 20% at the end of the year." Why does he use present perfect? Actually strictly speaking that is incorrect. Those are completed actions in the past so they should be past simple. There is a possible argument for using the present perfect. It can be used for something that has relevance to the present moment. For example we say "I've closed the door" if you just closed it and are telling someone who is with you. So if you were describing that graph to someone there with you, you could do it in that way. But really I think most people, and examiners, would expect to see the past simple so to not risk any penalties for someone who views it as wrong I would stay safe and stick with past simple for changes clearly shown to be in the past. You can use past perfect with the word 'by'. So "By 1970 the employment rate had increased by 50%". But that's just one exception. Appropriate Tense in Writing Task 1 & 2? 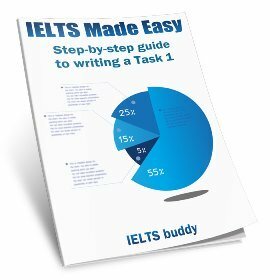 What is the suitable (tense) that can be used in writing both task 1 & 2? 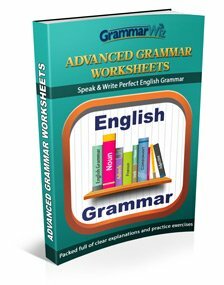 Meaning to avoid as much as possible grammar mistakes? Comments for Appropriate Tense in Writing Task 1 & 2? For Task 1, if it is a graph in the past you will mainly be using the past simple. But you could also get a graph in the future, which would of course mean using future tenses. And there are other Task 1s. A process will mainly be present simple, as would a map or diagram. For Task 2 you are mainly talking about present day issues, so the present simple is common. But you would need others tenses depending on what points you wanted to get across. So it's really difficult to suggest that using a certain tense will avoid grammar errors. Each task is different and you have to determine what tenses will be used. And tenses are only a part of it. There are many other grammar errors you could make even if you have the tenses correct. I used the wrong tense in task 1. How will my score be affected? impossible to say as you are not just marked on that, you are marked on a lot of other criteria, all of which affect your score. 1) are we allowed to use perfect tense and passive voice in task 1? 2) if a figure increases from 10% to 15%, are we supposed to write increase by 5 percentage points or by 5%? 3) for line graphs, can we describe each line separately? 1) The tense depends on the type of diagram you have been given and whether there are dates or not. For a process you could use passive, but not for other types of graph. For graphs with dates they tend to be either past simple, or future if the graph is a projection. "By 2014, the purchases of milk had risen by 20%". 3) Again this really depends on the graph so there is not a fixed answer to this. In some cases you may describe each line / trend one by one but there could be cases where you would describe all the trends before some certain date, then all the trends after. For example, if half the graph is the past and half the future it may be more logical to describe all the past trends first then the future. But as I say, it all depends on the particular graph and what makes sense.